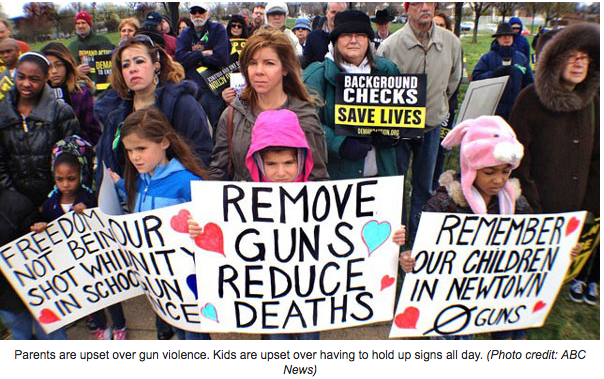 In the wake of the 2012 Newtown, Conn., elementary school shooting, a host of gun control laws were spawned as a result. The left is never one to allow any good tragedy to go to waste in an effort to spread their agenda in their attempts to disarm Americans. As a result, an all out war was waged against firearms and gun ownership by states like Maryland and others. In 2013 Maryland passed the Firearm Safety Act barring the sale of 45 kinds of firearms, dubbed “assault weapons” by the media, and limited gun magazines to 10-rounds. The decision was upheld by the 4th U.S. Circuit Court of Appeals in Richmond, Virginia in a 10-4 ruling. He also cited the Supreme Court’s decision in District of Columbia v. Heller where the decision excludes the extension of such coverage. Now the Supreme Court may get involved. If it takes up the case, this law could take center stage in the next big precedent setting case regarding the battle for our right to defend ourselves as Americans. The Plaintiffs in the case include disabled Naval veteran, Andrew Turner. Turner suffers from partial paralysis in his dominant hand due to an injury while still active duty. As a result, the Maryland resident needs a semi automatic gun to defend himself as afforded to him in the Constitution. Attorney for the Plaintiffs, Jay Porter states the Supreme Court needs to clear up the morass of confusion left by lower courts in the patchwork of rulings that have occurred since the 2008 Heller decision. In response to the tragedy at Newtown 21 states passed some form of new gun control measure in 2013, according to a joint report by the Law Center to Prevent Gun Violence and the Brady Campaign. The majority of those laws dealt with background checks and record keeping ruled for gun dealers despite the fact that shooter Adam Lanza stole his mother’s firearms and they were not legally purchased. 4 states took this opportunity to pass or strengthen out and out bans on semiautomatic firearms in 2013 – California, Maryland, Connecticut, and New York. Those 4 states, as well as Colorado, also passed or strengthened bans on high capacity magazines as well. The Plaintiffs in the case take objection to that interpretation and they are specifically disputing a lower court ruling that said the Second Amendment doesn’t apply to these guns noting a 1989 report by the U.S. Bureau of Alcohol, Tobacco, Firearms, and Explosives, or ATF, described semi automatic rifles as suitable for self-defense. These states say they are watching the case closely so as to respond accordingly. All have filed amicus briefs on behalf of the Plaintiffs. Meanwhile, the opposition does not rest and will not until all American citizens are disarmed. These states have filed amicus briefs on behalf of the state of Maryland in support of the continued ban. Now we wait to see if the Supreme Court will hear the case and pray that they do not continue to barter our liberties for the security of those that wish to rule over us.